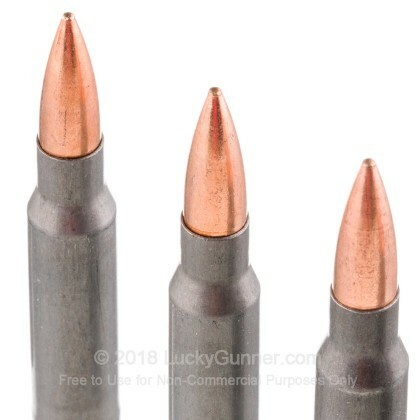 Using in my FAL SA58 it wasn't too bad. Got my red dot pretty much zeroed in. Recoil was lighter then expected. 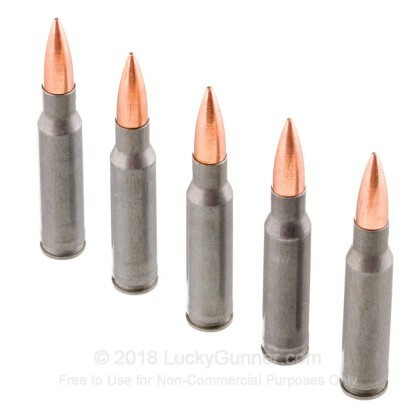 It is a little dirty and steel case won't alow me to shoot at the local range but I had a fun day shooting at my friends farm. 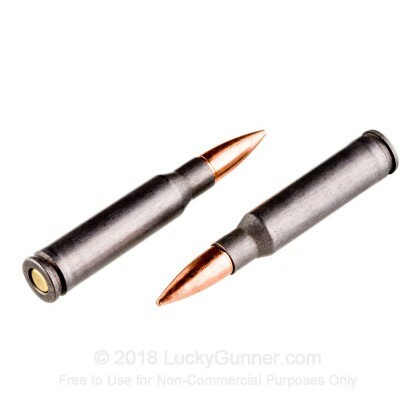 If your looking for decent plinking ammo this is it. Had one FTE but probably due to my settings on the gas chamber. Shooting it through my FAL, cycles well and groups decently off hand. I only had time to run a half mag through it this time, but it looks to do the job I want it to do. 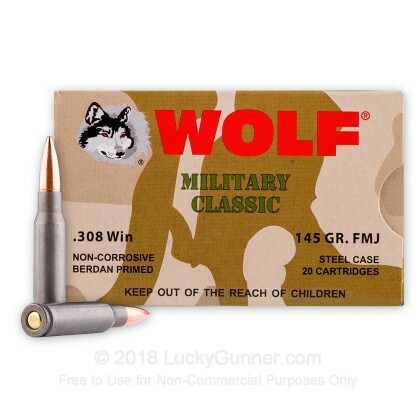 Q: Is the copper jacket of the Wolf WPA .308 all copper or bi-metal (copper and steel)? Thanks. 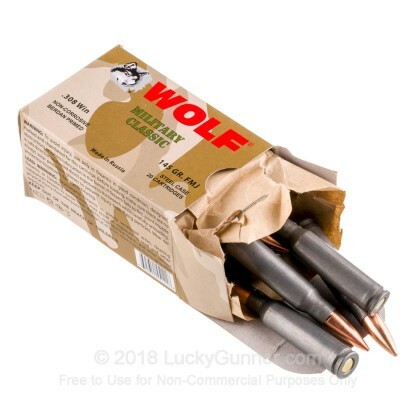 A: Hello Dan, The jacket of the Wolf WPA .308 is a bimetal design containing layers of both copper and steel. 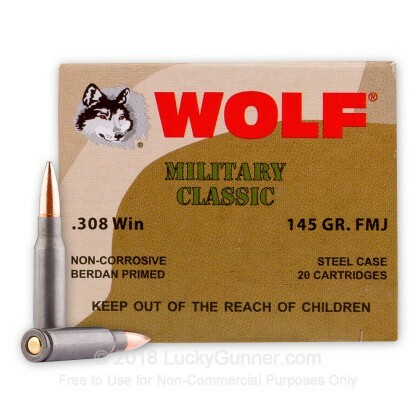 We also have this 308 - 145 Grain FMJ - Wolf WPA - 20 Rounds ammo in stock in a smaller quantity.